Miami Trace recently held a summer youth football camp for kids who will be in grades 3-8 this upcoming school year. High School head coach Jerry Williams, third from right, speaking to all of the youth participants, stressed the importance of being thankful to your parents. 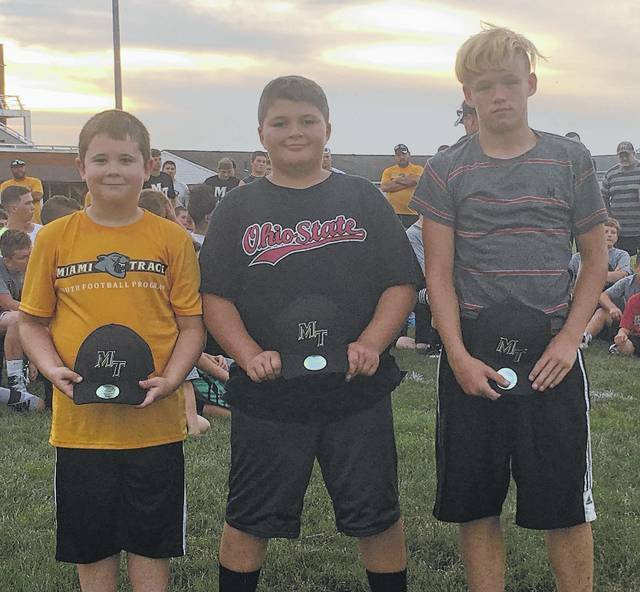 Camper of the Week Winners (l-r); Dane Wilt, Brady Sheets, and Alex McCarty. 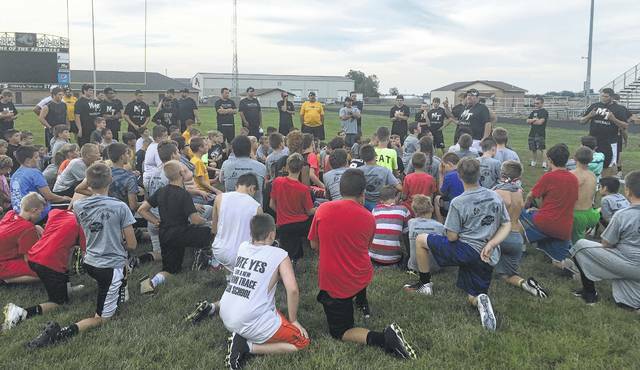 A large group of youngsters took part in the Miami Trace football camp, pictured above on the final evening of the camp.